I am new to sharepoint, did not even know it existed last month. My boss would like me to create a sharepoint list with multiple tasks/jobs, with a field to assign those tasks to certain people. Then she would like jobs to be completed sequentially. For example: Bill gets an email to get a bucket, when he clicks complete, Josh gets an email to fill it with water, etc. What is the best way to do this? Create a custom list with status fields and people pickers for each "task". Then use SharePoint designer to handle the validation logic an email sending for your workflow. I also create a choice field to act as a switch to change from no to yes when the email is sent. After each email I have the workflow set the email sent status to yes. This also helps the users know how far along the process is and what emails were sent. AND set Email A Sent to Yes. This is just one way to do it as you can customize the list and workflow to meet any other requirements that I may have missed. 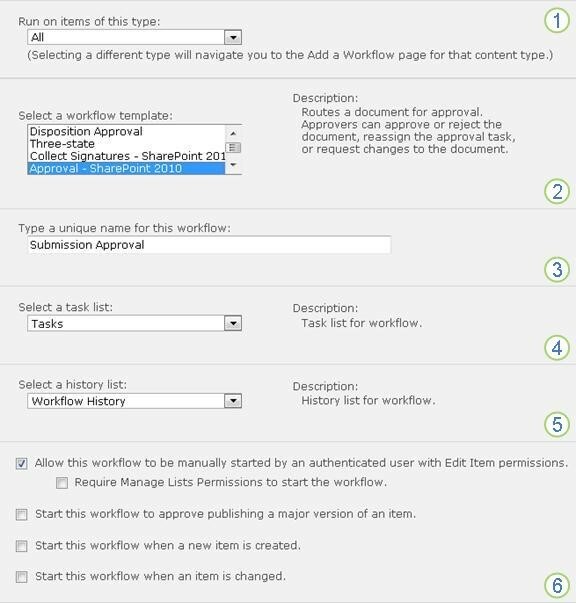 This is called a workflow, you can create a workflows with more than one way, as in your case i'd suggest using the Approval – SharePoint 2010 workflow which already included in SharePoint and you can apply it in your list or library by following the below instructions. On the ribbon, click the List or Library tab. Note: The name of the tab can vary with the type of list or library. For example, in a calendar list the tab is named Calendar. Select the Approval – SharePoint 2010 template. Note: If the Approval – SharePoint 2010 template doesn’t appear in the list, check this link for how to enable it. 6. When all of the settings in this form are the way you want them, click Next. 7. Complete the second page of the association form. If all of the tasks will be assigned at the same time (in parallel) The order of the names or addresses doesn’t matter. 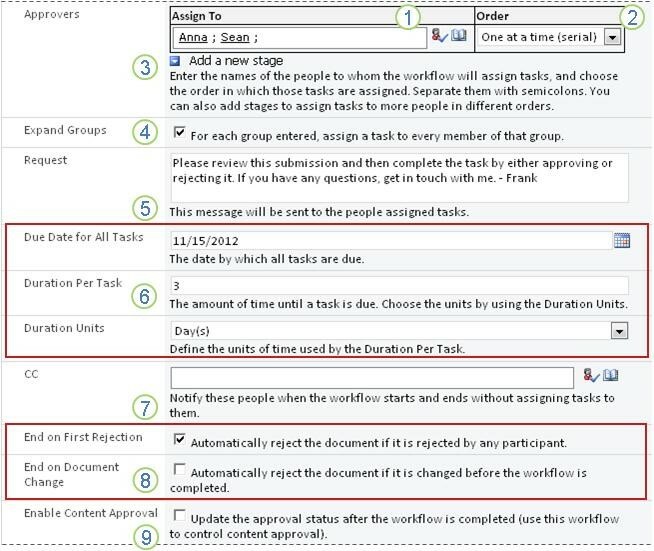 To have only one task assigned to each entire group that you enter in the Assign to field, clear this check box. (Each member of the group will receive a task notification, but any one member can claim and complete the single task on behalf of the whole group. If appropriate, a note about single tasks assigned to entire groups or distribution lists. Enter the names or email addresses anyone of who should be notified each time the workflow starts or ends. Not the answer you're looking for? Browse other questions tagged sharepoint-designer workflow tasks task-list or ask your own question. Sharepoint Tasks Updating when Permissions are added?